Ready to extend your course to the Fitness level this month ? Are you under 60 and ready to move beyond the Health level of Nordic walking technique to the higher Fitness level ? Session 6 (Fitness level) – 1.30 to 3.30pm Sunday 26 November, South Downs Location (tbc). The price is from £20 per person depending on numbers. Poles are available, if required, and included. 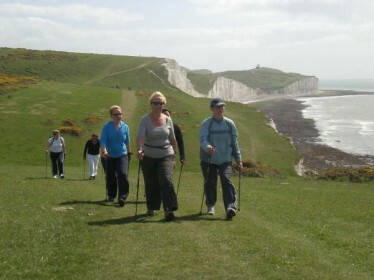 To make an enquiry, click on Nordic Walking for Health to send an email or text/phone 07813 524587.